This free PSD Mockup applies your billboard advertisement design onto a roadside sign with spot lighting. 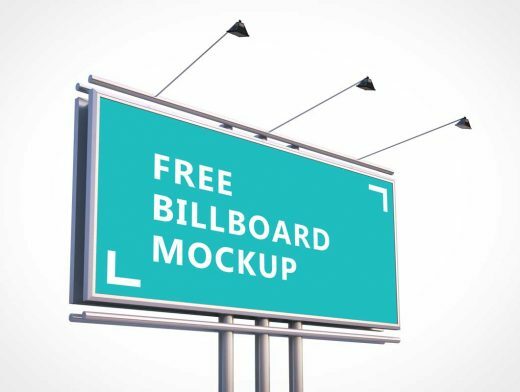 This billboard scene includes a fully transparent background allow you to drop in your own skyline shot. The billboard is affixed to 3 steel posts.